Ovenbrite is a professional and reliable family business that is committed to offering exceptional oven cleaning services to residential and commercial customers. 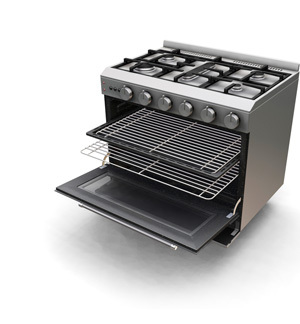 We service all types of ovens, cooktops, rangehoods, BBQs, dishwashers, fridges and washing machines. Based on Hills area in Sydney, we cover all suburb areas. We believe our success and good reputation is based on customer satisfaction through professional service. Therefore customer satisfaction is our top priority. We are honest and hard working so our customers are satisfied with our service. In order to get things done correctly, we work on checklists. So we not miss what you want. To keep your family safe, we use ECO Friendly and Non Toxic cleaning products in BBQ and oven cleaning services. We are also flexible and offer comprehensive services at home or at commercial place with no hidden fees. We regard our customers as the most important part of our business and sincerely thank you for choosing us. There are many aspects for good customer service, however, we believe that the bottom line is Sincere Quality Service that will keep our customers coming back as regular customer. To achieve this, we devote our best efforts in providing high quality and extensive services to customers to exceed their expectations.